How do I compare courses on Springest? 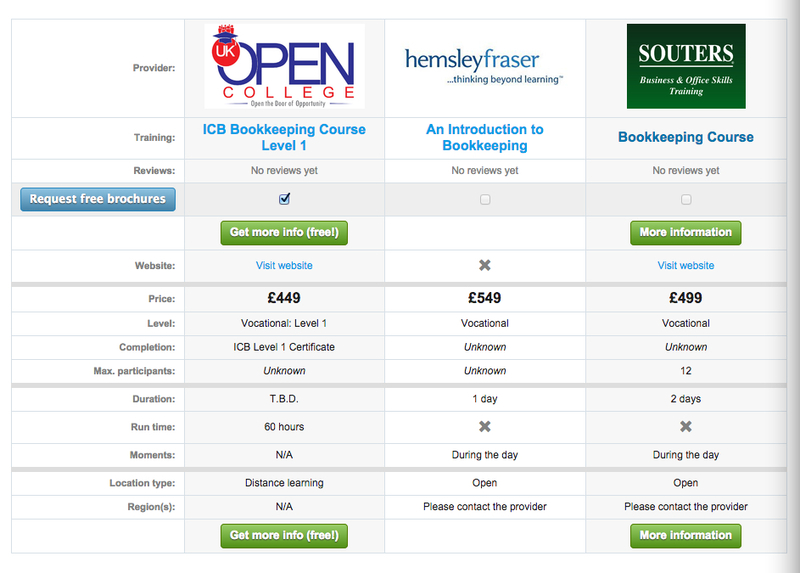 If you want to compare different courses check the box on the left and click on the blue "Compare" button. You'll get an overview of the different characteristics of each course, so you can compare the course. 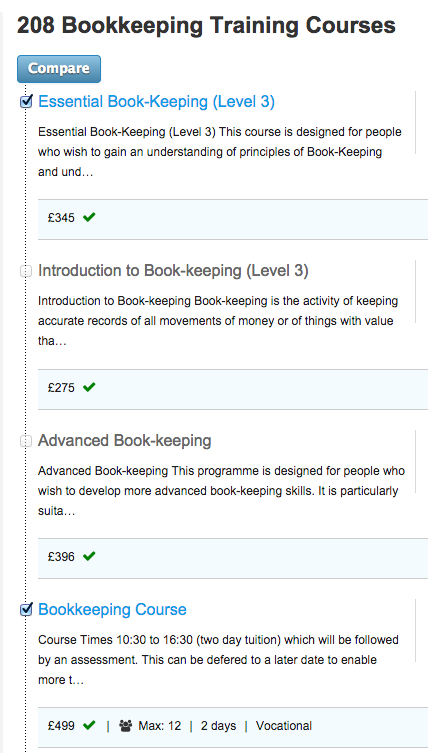 If you then still want to find out more about the training courses request more information via the blue button.